Venture to Mexico’s Yucatán Peninsula for an immersive experience weaving in ancient Mayan rituals. 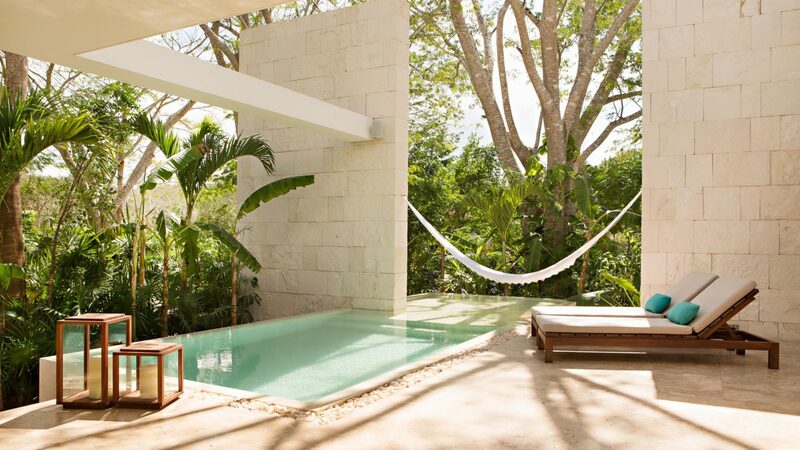 Stay three nights in a deluxe casita with private pool and daily breakfast for up to two guests. Rate starting at $ 974.00 USD + 19% VAT + 10% Service charge per night. Three (3) nights’ accommodation in Casita Deluxe with private pool for one or two guests. Daily breakfast a la carte at Ki’ol or Wellness Restaurant until 11:00 a.m. (a la carte). Eye opener at Casita terrace (coffee or tea and sweet bread). Spa & gym facilities access. 50% total stay is requiere to confirm the booking. Cancellations without penalty 14 days prior arrival. Three nights minimum stay is required. Black-out dates may apply.